Even the construction industry can “go green.” A collection of Swiss companies is proving this to be true by developing the world’s largest electric vehicle and in record time. 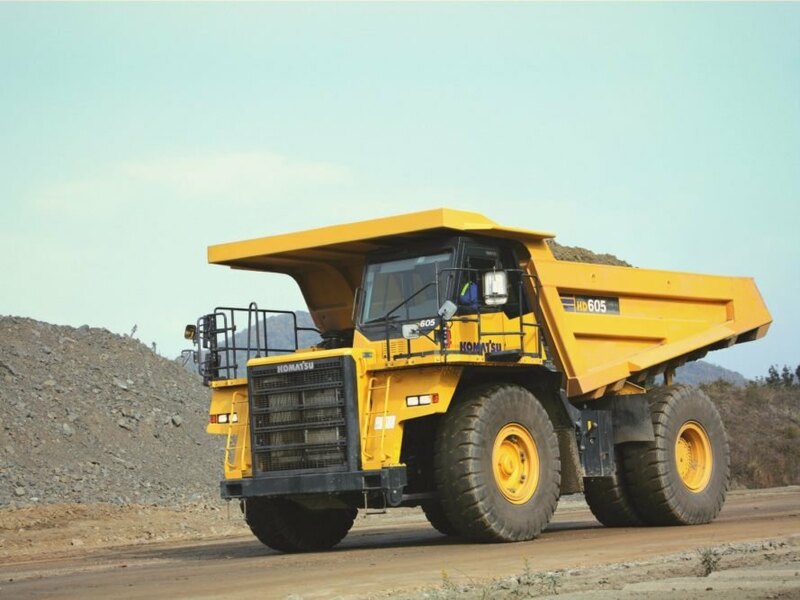 The E-Dumper weighs a whopping 45 tons and has 700 kWh of storage capacity. That’s as much as eight Tesla Model S vehicles. 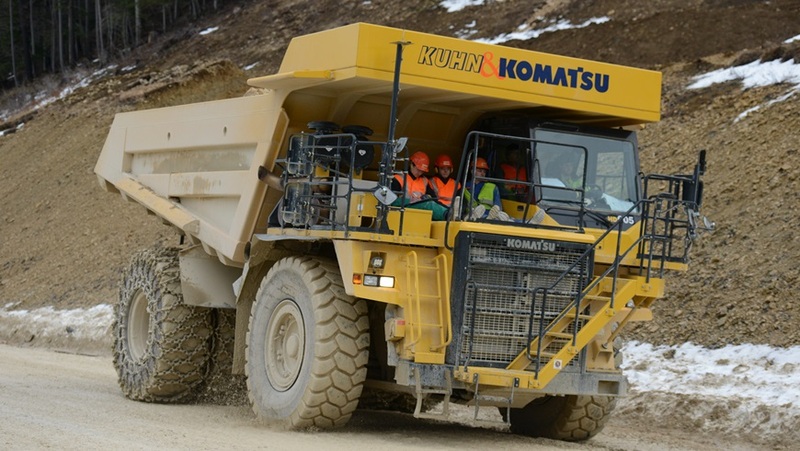 To ensure it is as environmentally-friendly as possible, the E-Dumper’s base is a used Komatsu HD 605-7 dumper truck. The original diesel engine has been removed and replaced with a chassis for battery packs that will power the new E-Dumper. When we say this vehicle is big, we mean big. Its tires measure over 6.5 feet in diameter, and the driver is required to climb nine stairs to reach the cabin. Its size and strength ensure it can transport materials from a mountain ridge to a valley 20 times per day. This is important, as moving materials from the slopes of the Chasseral to the Ciments Vigier SA cements works near Biel is what the e-dump truck will be doing for the next 10 years. The costly venture is being spearheaded by Ciments Vigier SA. Lithium Storage GmbH from Illnau and the Kuhn Group have been hired to “get the ball rolling,” so to speak. The project is also backed by Empa; battery expert Marcel Held is in charge of safety assessments. The E-Dumper’s battery pack will weigh an incredible 4.5 tons and consist of 1,440 nickel manganese cobalt cells. This is the first time ever a land vehicle has been equipped with such a vast battery pack. “Nickel manganese cobalt cells are also the choice of the German automobile industry when it comes to the next generation of electric cars,” Held said. This is also the first time a vehicle of this performance class has been constructed to ascend and descend slopes of up to 13 percent inclination, all the while charging its battery pack by 40 kWh during a single descent and using electrical currents up to 3,000 amperes while climbing steep terrain. If the E-Dump Truck proves successful, Ciments Vigier SA could potentially power up to eight purely-electric vehicles using long-term. Once this has been accomplished, other companies may start producing large-scale, electric construction vehicles as well. It only has an excess of electricity stored IF the truck is loaded uphill and unloads downhill. Load weight and elevation change (and some other factors) will determine how much energy is generated by the brakes. If the truck is filling downhill and traveling uphill to dump then you will need to charge the trucks. Perpetual motion machines don't exist . . . The concept of a mountain mine as a power station exists also in northern Sweden, where the train from the mine in high altitude Kiruna (Sweden) delivers more energy to the grid when taking ore to the harbor in Narvik (Norway), than when it goes back up again without a load. No my friend. When it is travelling down the hill it has a load on board, so a greater amount of electricity is generated. When travelling uphill it is lighter, etc etc. James. Odd math. 700kWh is precisely 7 tesla cars worth of storage (assuming the top end 100kWh models) or nearly 11 if you use the bottom end 60kWh models for comparison. Comparing to the 90kWh cars gets you close to 8 cars, but not quite there. Just wierd math here. This is not about perpetual motion. It's regenerative braking. It comes down full with a heavy load. It brakes hard using the wheels to turn the motor/generator and stores the electricity. Then it uses the batteries to turn the motor to take an empty (and much lighter gross weight) vehicle back up the hill. The mass of the rock and gravity provide power, but you can't get a net electric flow if you take it back up full or roll it downhill empty. Very trustworthy source, can create more electricity rolling downhill empty than it uses to drive uphill full. What a crock. They must need investors. Jeramy, perhaps you need to go back to high school physics and reread the chapter on how potential energy works. You do realize more weight is going down the hill than up, right? Does this mean perpetual motion machines have finally arrived? The E-Dumper weighs in at a whopping 45 tons and has 700 kWh of storage capacity. That’s as much as eight Tesla Model S vehicles!